Can Cable Networks Deliver a Gigabit? Time Warner Cable recently promised the Los Angeles City Council that they could bring gigabit service to the city by 2016. This raises the question – can today’s cable networks deliver a gigabit? DOCSIS 3.1: First, a cable company has to upgrade to DOCSIS 3.1. This is the latest technology from CableLabs that lets cable companies bond multiple channels together in a cable system to be able to deliver faster data speeds. This technology is just now hitting the market and so by next year cable companies are going to be able to have this implemented and tested. Spare Channels: To get gigabit speeds, a cable system is going to need at least 20 empty channels on their network. Cable companies for years have been making digital upgrades in order to cram more channels into the existing channel slots. But they also have continued demands to carry more channels which then eats up channel slots. Further, they are looking at possibly having to carry some channels of 4K programming, which is a huge bandwidth eater. For networks without many spare channels it can be quite costly to free up this much empty space on the network. But many networks will have this many channels available now or in the near future. New Cable Modems: DOCSIS 3.1 requires a new, and relatively expensive cable modem. Because of this a cable company is going to want to keep existing data customers where they are on the system and use the new swath of bandwidth selectively for the new gigabit customers. Guaranteed versus Best Effort: If a cable company wants to guarantee gigabit speeds then they are not going to be able to have too many gigabit customers at a given node. This means that as the number of gigabit customers grows they will have to ‘split’ nodes, which often means building more fiber to feed the nodes plus an electronics upgrade. In systems with large nodes this might be the most expensive part of the upgrade to gigabit. The alternative to this is to have a best-effort product that only is capable of a gigabit at 3:00 in the morning when the network has no other traffic. Bandwidth to the Nodes: Not all cable companies are going to have enough existing bandwidth between the headend and the nodes to incorporate an additional gigabit of data. That will mean an upgrade of the node transport electronics. So the answer is that Time Warner will be capable of delivering a gigabit next year as long as they upgrade to DOCSIS 3.1, have enough spare channels, and as long as they don’t sell too many gigabit customers and end up needing massive node upgrades. And that is probably the key point about cable networks and gigabit. Cable networks were designed to provide shared data among many homes at the same time. This is why cable networks have been infamous for slowing down at peak demand times when the number of homes using data is high. And that’s why they have always sold their speeds as ‘up to’ a listed number. It’s incredibly hard for them to guarantee a speed. When you contrast this to fiber, it’s relatively easy for somebody like Google to guarantee a gigabit (or any other speed). Their fiber networks share data among a relatively small number of households and they are able to engineer to be able to meet the peak speeds. 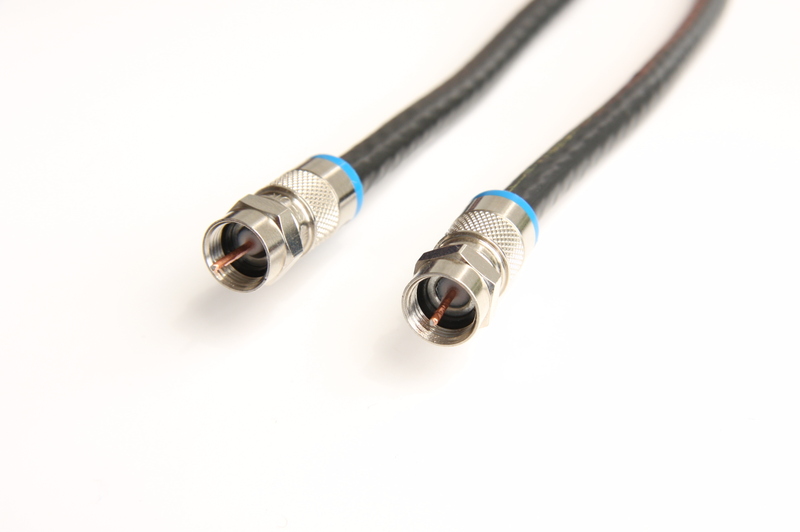 Cable companies will certainly be able to deliver a gigabit speed. But I find it unlikely for a while that they are going to price it at $70 like Google or that they are going to try to push it to very many homes. There are very few, if any, cable networks that are ready to upgrade all or even most of their customers to gigabit speeds. There are too many chokepoints in their networks that can not handle that much bandwidth. But as long as a cable network meets the base criteria I discussed they can sell some gigabit without too much strain. Expect them to price gigabit bandwidth high enough that they don’t get more than 5%, or some similar penetration of customers on the high bandwidth product. There are other network changes coming that will make this easier. I just talked last week about a new technology that will move the CMTS to the nodes, something that will make it easier to offer large bandwidth. This also gets easier as cable systems move closer to offering IPTV, or at least to finding ways to be more efficient with television bandwidth. Finally, there is always the Comcast solution. Comcast today is selling a 2 gigabit connection that is delivered over fiber. It’s priced at $300 per month and is only available to customers who live very close to an existing Comcast fiber. Having this product allows Comcast to advertise as a gigabit company, even though this falls into the category of ‘press release’ product rather than something that very many homes will ever decide to buy. We’ll have to wait and see if Time Warner is going to make gigabit affordable and widely available. I’m sure that is what the Los Angeles City Council thinks they heard, but I seriously doubt that is what Time Warner meant.